Elliptigo Dealer Location Nearest You. No dealers were found within 100 miles of your location. Thank You For Your Interest In Test Riding! Please call the store for the days and times of operation. We're glad you've found a location that's convenient for you. Now, it's time to ride! Experience the fun, comfort and performance of an ElliptiGO elliptical bike at your store of choice. It's easy: most of our dealers welcome test ride walk-ins during business hours, no appointment necessary. 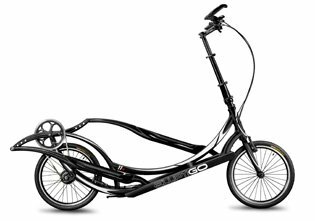 If you are interested in trying a specific ElliptiGO bike model, we do recommend that you call the dealer ahead of time to ensure it is available. One of the great things about riding an ElliptiGO elliptical bike is you don't need any special gear other than a helmet. If you have a bike helmet, bring it for your test ride. If you don't, most dealers will have one you can borrow. For the best experience, we encourage you to wear comfortable workout clothes and running shoes or sneakers. Prior to your test ride, we recommend you watch the video Taking A Test Ride. for helpful tips. Please note that riders must be less than 250 pounds and at least 18 years old or accompanied by a parent or legal guardian. If you have any questions, email us at info@elliptigo.com or call 888.796.8227. Enjoy your ride! If you have any questions or need additional help with your test ride, email us at info@elliptigo.com or call 888.796.8227. Enjoy your ride!